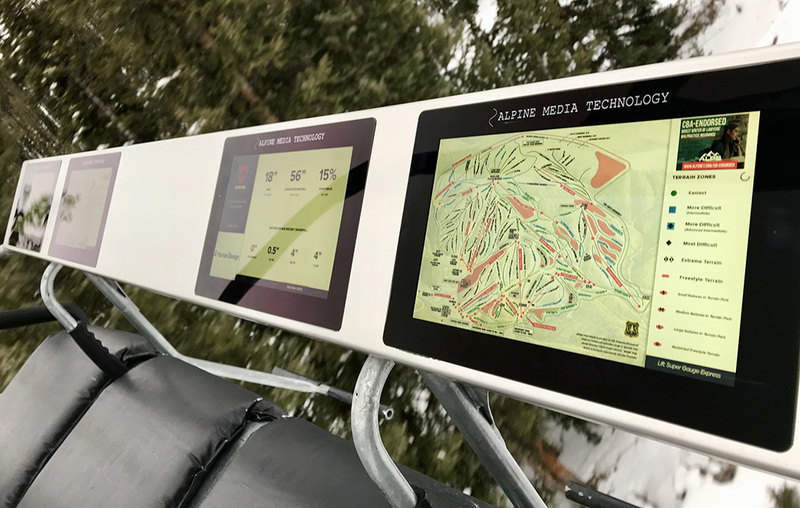 Centennial startup Alpine Media Technology wants to start putting touchscreens on chairlift safety bars around ski resorts nationwide. Co-founder Freddie Peyerl said the business – which this year ran a pilot program installing five screens on chairs at Winter Park – raised a $1 million seed round. He said Alpine Media will use the funding for hardware, software development, intellectual property and legal costs. The startup tested the concept on five of the chairs on the Super Gauge lift at Winter Park’s Mary Jane. The company also puts larger screens in public areas at resorts. At Winter Park, it installed 55-inch indoor displays at seven locations in lodges and 50-inch outdoor displays at the base of the mountain. The startup also developed a Winter Park mobile app with information on lift lines, traffic, weather reports and trail maps. Alpine Media doesn’t charge the resorts, but instead sells advertising. Clients included Denver-based Meier Skis, Centennial-based Outdoor Element, the University of Denver and Canada-based ski apparel maker Karbon. Peyerl and co-founder Gerrit VandeKemp sell the ads. And the advertising came with strict rules. The U.S. Forest Service told Alpine Media they could use about one-third of digital displays for ads, but Alpine Media said its advertising space was well under that, at only 5 percent. He said his co-founders are hoping to go full-time with Alpine Media soon. Alpine Media’s $1 million funding round came from angel investors and friends and family. The startup has developed a charging panel for the screens to charge as chair lifts pass around the bull wheel, but for Alpine Media’s trial run this year at Winter Park, the screens used batteries. “We are focusing on ski resorts or areas where there are gondolas, because the only way to deliver enough power to do digital displays on chairlifts and gondolas would be by utilizing our method that we have our patent (pending),” VandeKemp said. 5 Comments on "Startup lands $1 million seed round for chairlift screens"
How do they plan to deal with the inevitable stickers being put right over their screens? When I go to the mountains to ski the last thing I want to be shoved in my face is a touchscreen flashing ads and information at me. I go to the mountains to get away, spend quality conversation time on the lift with my family and make new friends.